Most lenders do the exact same thing – market their rates and costs – and in reality, none of those things matter to Realtors®. More than 90% of our business comes from Realtor® referrals, which is why they take precedence over all others. Our philosophy is to help YOU save time, close deals, and ultimately make more money. It’s more important than ever to stay in front of your clients and prospects in any way that you can. That means leveraging traditional and contemporary marketing tactics such as email, social media and video. 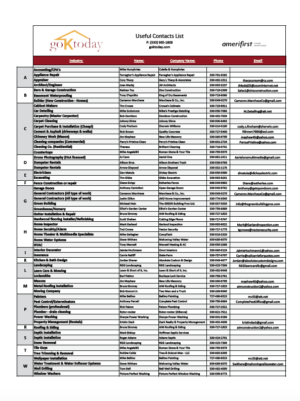 We provide a variety of collateral where Realtors® can co-brand with. 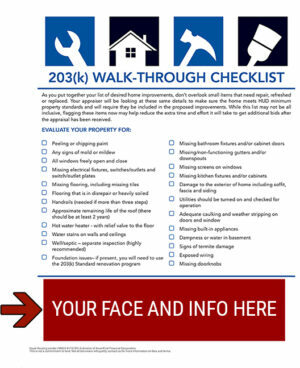 This can range from promoting an upcoming open house, current listings, or a strategic long-term email campaign to all of your past clientele. We can achieve this using our already created in-house marketing collateral. These pre-made pieces allow the addition of your name, photo, company logo, and contact information. We also utilize automatic email campaigns on all our past clientele who you may have represented. This automatic quarterly email process runs perpetually for all our past borrowers, so our brand stays fresh in their minds. Why not keep YOU and your brokerage in the forefront of their minds as well? Every agent whose client has worked with us in the past, has the ability to have their name, face, company logo, and contact information included in all future correspondence. Even if it takes years, we’ll help you recapture that repeat business just like we help you capture new. Unlike many brokerages where you have to pay a fee for these standardized marketing materials, they are complimentary to you. When watching your favorite real estate shows have you ever wished that YOU could offer 21st century services like those agents? Imagine if you were able to provide your clientele with an “experience” rather than simply a service. With our help – YOU CAN! Let’s face it, many homebuyers do not have terrific vision. If they don’t see it, they can’t imagine it. We can fix that. 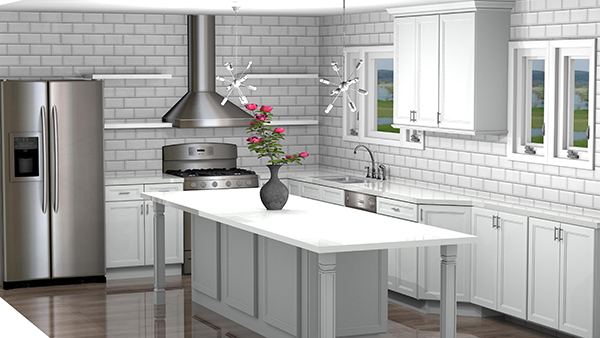 We help impress your clients by providing photorealistic Virtual Renovation renderings. We collaborate with agents like you and help design and, then, create 3D renderings to help homebuyers visualize the true potential of a space – Just like Chip & Joanna! Each rendering is unique and created using the actual dimensions of that existing space. Meaning, what one sees can be, and often is, built via a renovation. That’s not all. 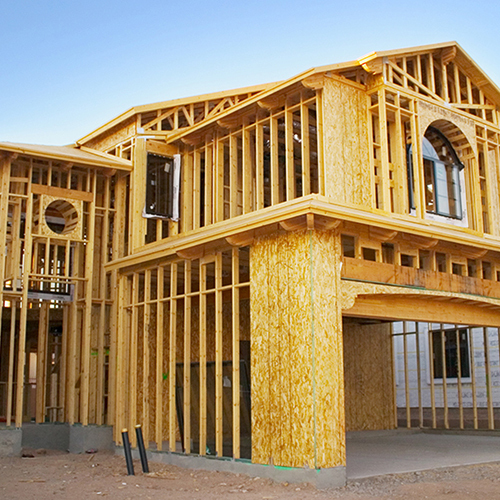 Our team will also share the associated costs of a potential remodeling project in the form of a local contractor’s estimate. YOU, then, are able to provide your clients with VISION and the actual COSTS of what it would take to turn that vision into a reality. 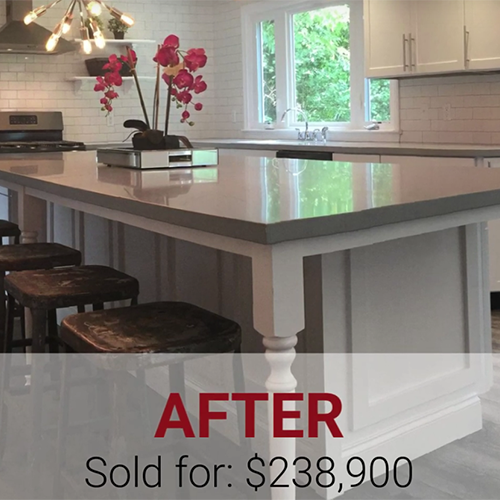 This allows your clients to make an informed decision where the end-result is a beautifully renovated space that’s customized to their specific tastes. Who are your go-to landscapers, architects, or interior designers? These are trades that clients will eventually need. Sure, clients can always Google someone for the job, but imagine being able to recommend a vetted, trusted professional for their needs. That’s how you build a successful real estate career! The trade professionals and companies we recommend work closely with us, and have proven to be reliable, and the best in their respective fields. Not only that, they also have shown to be an exceptional value in terms of the work they produce compared to the average cost of such a service in their respective fields. In fact, many of the professionals that will be in attendance are economically superior to others in their industry – while still being top notch at what they do. Often with other lenders, Realtors® are left waiting until a couple weeks, sometimes a couple days, before closing to learn of loan status. What other information is needed? Will we close on time? Will the loan go through at all? 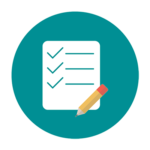 We take the guesswork out of the loan approval process. We’re proud to be one of few lenders that sends weekly loan status emails, detailing what has been completed, what remains, and an accurate timeline – giving you, the Realtor®, confidence and peace of mind that can then be passed on to your clients. Couple this with our weekly loan milestone update calls and bingo…synergy at its finest! We want you to be the hero! The biggest obstacle to homeownership, especially for first-time buyers, is coming up with sufficient cash to close. 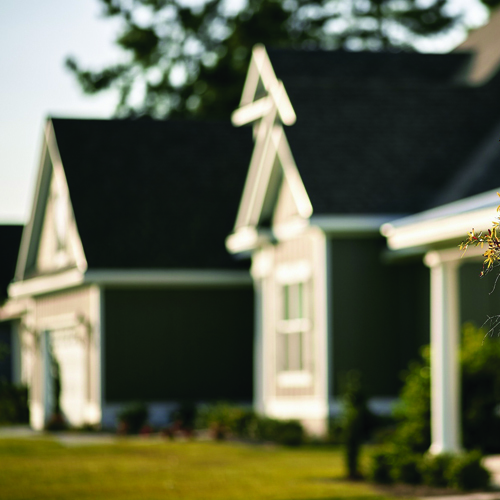 Traditional mortgages can be difficult to qualify for and often require a hefty sum of money up front. Fortunately, there are many assistance programs and grants available to help your clients who may have smaller budgets – from down payment assistance, to grants for college graduates, to our new grants given to buyers who attend our buyer seminars. Since you were the one that introduced these savings to the borrower, they view you as their own personal hero. Your clients will be elated that YOU were the one that helped them save hundreds, if not thousands of dollars. And we all know that a happy client, is a client who refers YOU future business. 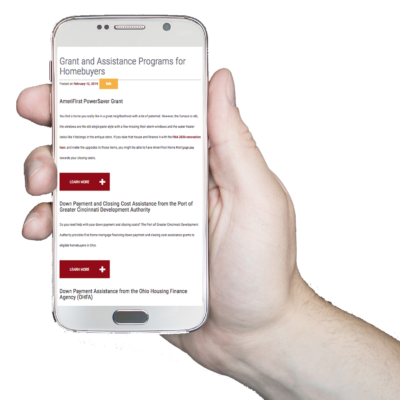 Explore our list of grant opportunities and discover everything you need to know to assist your clients with finding and securing the right funding. Understanding the mortgage process and knowing which loan to qualify for is the most treacherous part of buying a home. A lot can go wrong, and make or break a sale. With so much at stake, we make sure your clients are well-informed and well aware of their borrowing options. AmeriFirst Home Mortgage offers in-person consultations to educate your clients on lending options, strategy, and building confidence during their home search. We highly suggest you encourage this approach as the benefits are exponential. *Not all borrowers will qualify. Contact us for more information on fees and terms.